One of our most popular featured listings, the 5th + Colorado Class AA building at 201 West 5th St in the Austin CBD Warehouse District offers both executive office suites and shared office spaces. The prime location here is superseded only by the local amenities. This 18-story building has full floor-to-ceiling windows that offer you spectacular views of the city as well as providing natural light for the workspace. 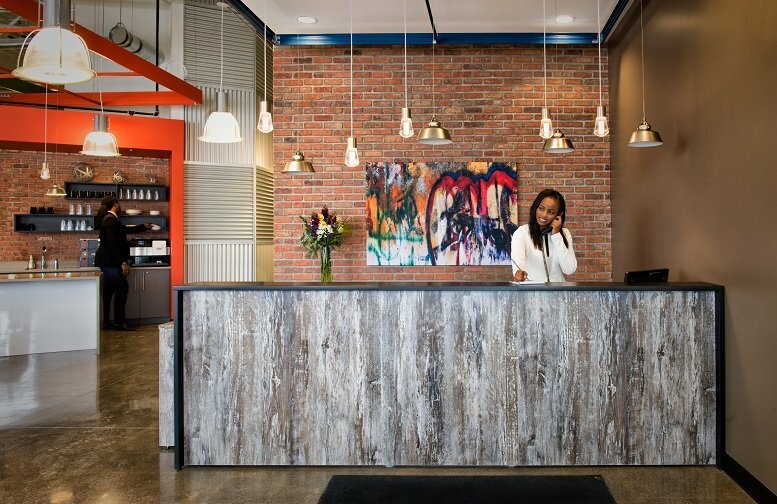 On-site management ensures that you will be able to easily give notice if you have any questions or concerns, and the building has full-time security service so that you can rest at ease as you work. And for those who enjoy balancing work with self-care, there is a fitness center available complete with showers and locker rooms. 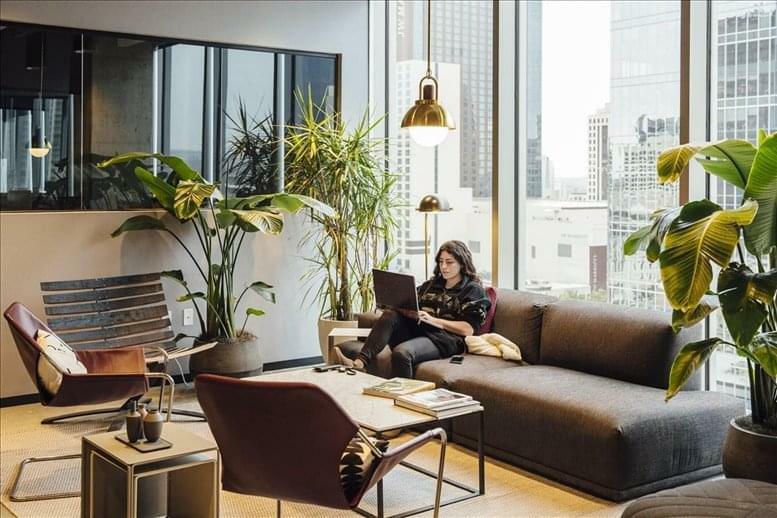 The center itself boasts private offices and collaborative workspaces designed with classy glass walls that lend an open feeling to the work environment. In addition, there are a number of gorgeous conference rooms, relaxation rooms, and even a private room for mothers. 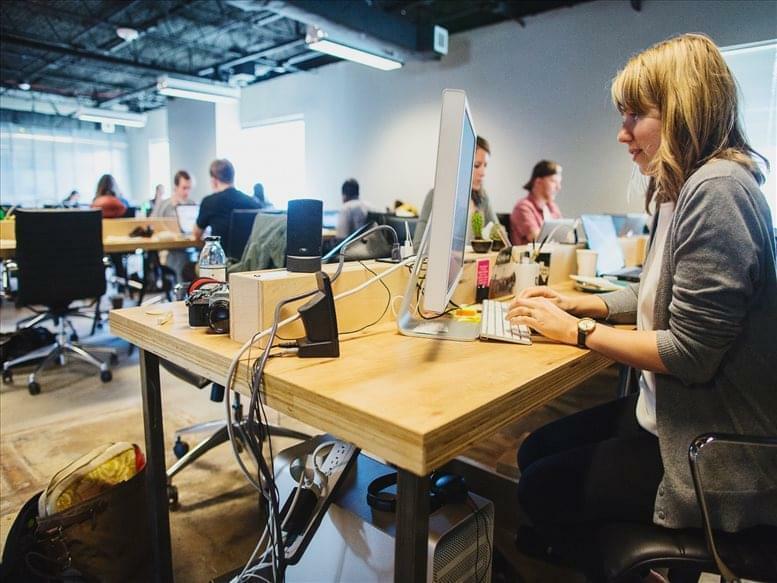 Clients here have access to unlimited free printing so you have what you need to keep the workflow moving. 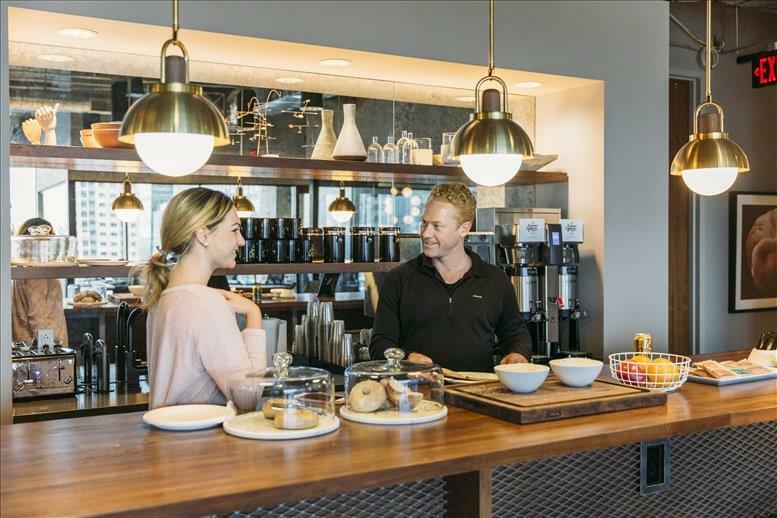 And if you need to grab a bite to eat or just a need a little break during the afternoon, visit the on-site cafe, ready to offer coffee, pastries, fresh fruit, and even local beer so you can get refreshed and primed for the rest of the day. 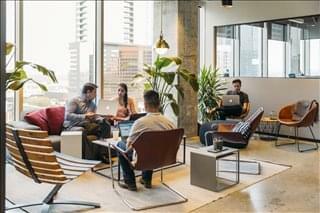 Renting office or coworking space in downtown Austin has never been so easy. Convenience, comfort, and professional image - huge selling points for a client choosing a new business service or an entrepreneur choosing a new office space. 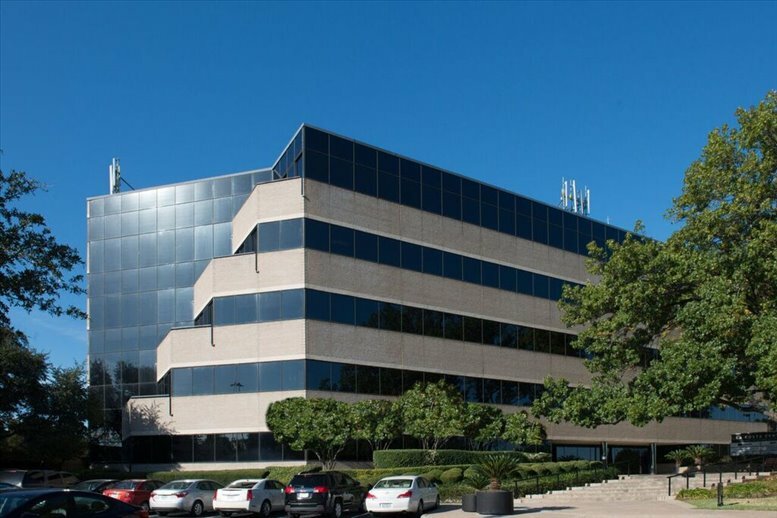 Call and schedule a visit so you can see for yourself how this center can be an amazing next step in the growth of your company. 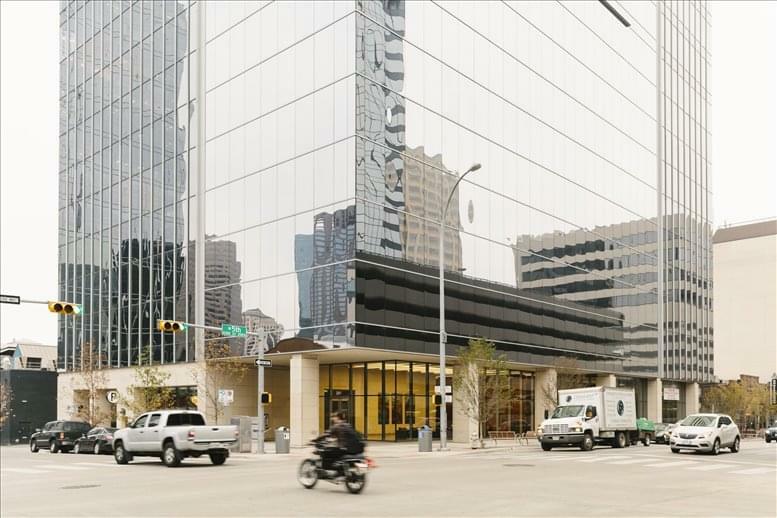 This office center, located in the middle of downtown Austin at 5th and Colorado streets, has an abundance of all everything you need for a successful business. 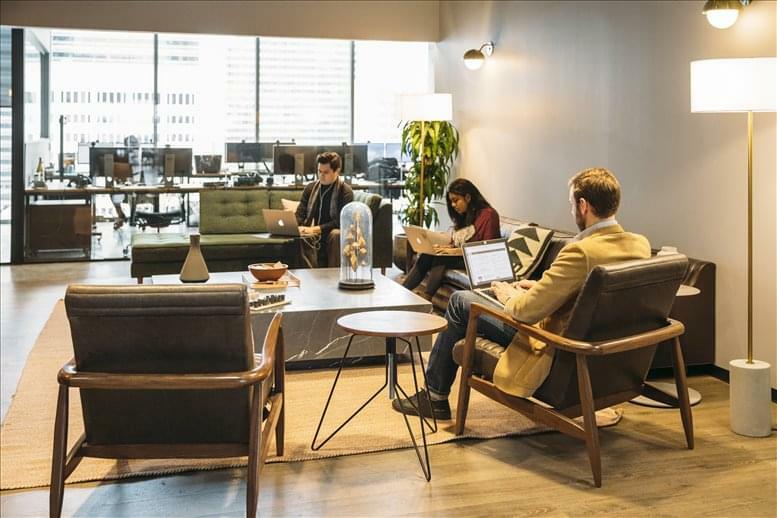 With a location amid the bustle of the city's center and amenities that makes business a pleasure, you will find an abundance of reasons to make this your new company home. 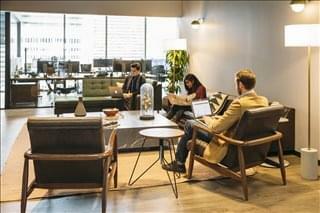 The downtown location of this center envelopes you with possibilities for work and pleasure. The street system here is a haven for bikers and pedestrians, though if you want a lift, the regular city bus system as well as the free "Dillo" shuttle bus are available to take you where you need to go. Within a mile, you will find the Texas Capitol building as well as the Warehouse District. The streets here are brimming with retail and dining opportunities as well as entertainment venues, not to mention artistic novelties like the Mexic-Arte Museum or the Kunst Gallery. And the 6th street clubs are not far away for when you and your colleagues want to celebrate a successfully closed business deal. 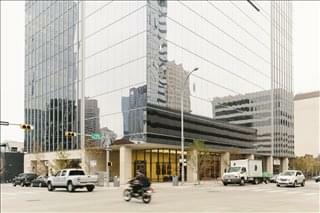 Downtown is the ideal location for traveling in and out of Austin. I-35 is less than a mile away, providing you with a shorter commute, and the building has indoor parking for your convenience. The bus and MetroRail systems are in full force here, providing you with affordable access to the rest of the city. If you need to head out of state, there are also a number of options available. For instance, if you need to catch a flight, you can reach Austin-Bergstrom International in under half an hour. On the other hand, if you enjoy saving on travel costs, less than a mile away is Austin Station, a stop on Amtrak's Texas Eagle line which services destinations all the way from Chicago to Los Angeles. Wherever you need to go, this center is a great place to start! 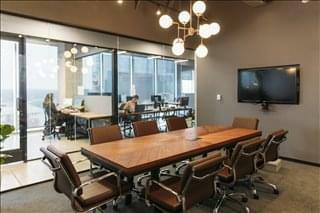 This office space on 5th + Colorado, 201 West 5th St, Warehouse District, CBD, Austin is available immediately. Details and prices are available by calling 1-877-693-6433 or by submitting the inquiry form.